For the latest information on new releases, sales, and opportunities to receive free books, sign up for my newsletter. No SPAM, only news you can use. 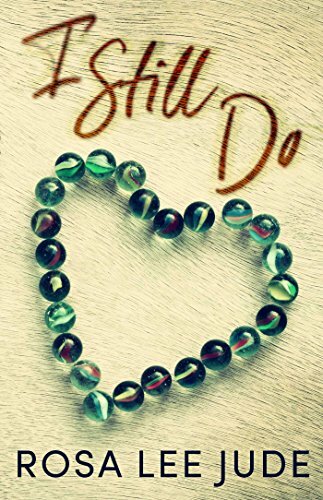 When Symphony Wallace moves to a small town in Virginia, she expects to start a new job and learn more about the woman who abandoned her as an infant. She doesn’t expect to find a new love, meet a Hollywood legend, or take a trip to another time. Her beloved grandmother always told her to follow ‘the signs in life,’ so that’s what Symphony does—right into an adventure beyond her wildest dreams. As magical as the prized pendant she always carries, Symphony’s quest to find her biological mother, Amburgey Gibboney, takes her on a journey filled with interesting characters and an historical time period she never imagined contained parallels to her own life. Will a trip to six decades in the past help reveal the answers to the questions she’s long held in her heart? Or will what she discovers in another time only deepen the mystery? The Legend of Amburgey Gibboney is the first book in the BloomSpoons Adventures Series. 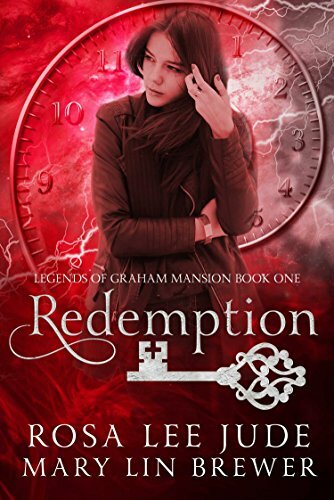 The Award-Winning Legends of Graham Mansion Series mixes historical fiction with the twists of time travel in a mysterious mansion. When the breakup of her family forces Grae White’s mother to move her two children from their privileged city life to her hometown in the mountains of Virginia, all Grae wants is to be invisible in her new life. 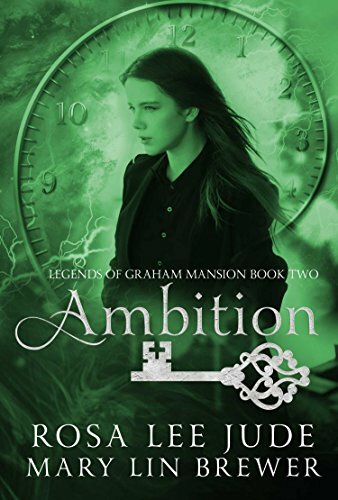 But that’s rather hard when everyone knows that her father is the latest headline-grabbing white collar criminal, the most popular boy in school wants to take Grae to the prom, and then there’s that she lives in a haunted mansion. Where does the past stop and the present begin? 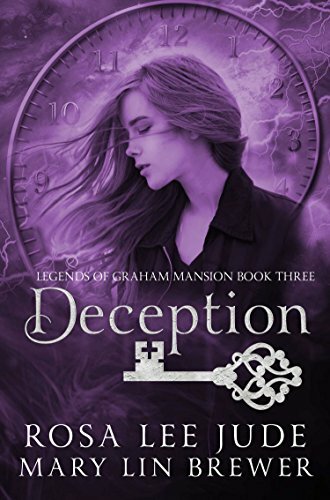 During Grae’s fourth adventure, she discovers there are more twists and turns in the lives of the Graham family and her own than she ever dreamed. This journey takes Grae to the heart of the Civil War where she suddenly finds the realities of the past threatening to wipe out her own existence in the present. Join Grae for her second journey as she travels to 1830 and learns about the enduring power of love. 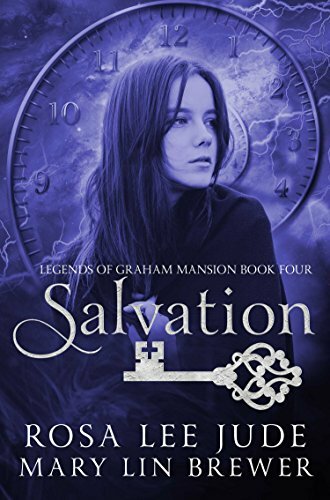 During this adventure, she meets the builder of Graham Mansion, David Graham. History has portrayed him to be a brilliant yet dominant force. What contributed to his compulsion to succeed? Grae’s adventures will unlock a well-guarded secret and lead her to the truth behind this mysteriously driven man. 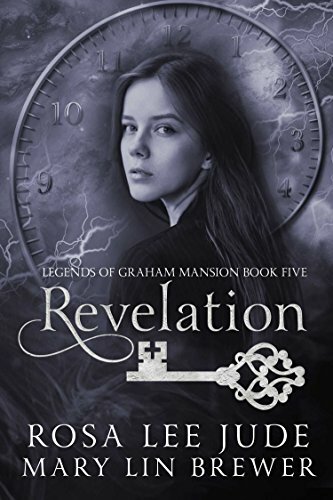 Join with Grae as the secrets of Graham Mansion turn into epic revelations that threaten and explain her very existence. Grae’s safety is in jeopardy as she tries to discover how to release herself and her dear friend, The General, from the grips of the past. As she learns his true identity, she is further spiraled into the mystery that surrounds the Graham family. It will take a force more powerful than Grae realizes to break the bonds of time. Grae's third journey takes her to 1859 as the Graham Mansion is occupied by its first master and mistress, David and Martha Graham. David’s suspicions regarding Grae’s identity only add to the shadow of truth lingering in the household. Even more ambitious, David controls the image his family portrays. That proves difficult with a wife who brought riches and questionable mental health to the relationship. At eighteen, Harry Rothchild met the girl of his dreams. When tragedy tore apart the life he planned with Emily James, Harry went on with his life but never forgot. Sixty years later, he makes an impulsive journey to honor Emily, his first love, by attending her funeral. A touch of serendipity intervenes when he meets a young woman that will help him learn his and Emily’s love could withstand the test of time with a miraculous outcome. From the moment they meet during their early days of college, a love begins between Lana and Jared that they vow to share until infinity. Shortly after they are married, that commitment is put to the test as on a special evening out, the couple is attacked. Lana is abducted as Jared is brutally injured and left for dead. As the years pass without Lana being found, Jared tries to move on with his life. But the haunting bonds of infinity still hold his heart as he never lets go of the promise he made to Lana or his relentless pursuit to find her. Will an innocent favor done for a new friend lead him to discovering what happened to his wife? This heartwarming journey will give new faith in the power of destiny as Jared learns that infinity truly is forever. 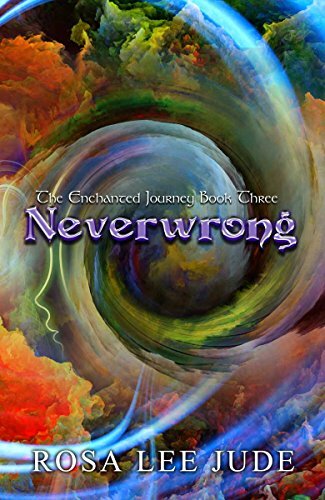 Take a journey to the world of Neverwrong as Tremble Dawson discovers that her heritage has many magical secrets. There's a bounty on her head and a prophecy shadowing her life. Ultimately, love is her greatest power. Is it strong enough to overcome The Evil that pursues her? Tremble Dawson thinks her biggest worry is completing her internship at a mega successful advertising agency. That is, until she discovers her seemingly normal upbringing has all been an illusion. Her life is turned upside down when a handsome stranger pays a visit and offers to be a special kind of bodyguard to protect her from an evil force bent on making her fulfill a twisted prophecy. As she discovers her true identity and the mystery of her heritage, Tremble realizes there’s a bounty on her future and she is the one who must pay the price. As Tremble begins to about her enchanted powers, she embarks on a journey to find the woman who entrusted her to the mortal world—Jasmine. 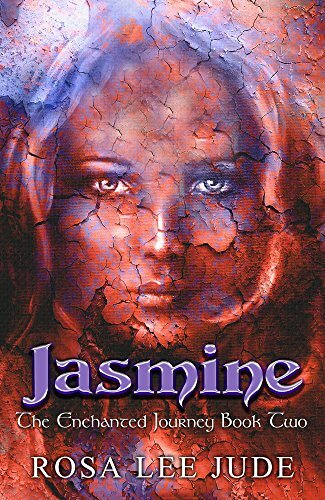 Learning about her mother’s past and how the enchantress used her powers exposes important clues regarding who can be trusted and the secrets that may have influenced Jasmine to hide her only child. 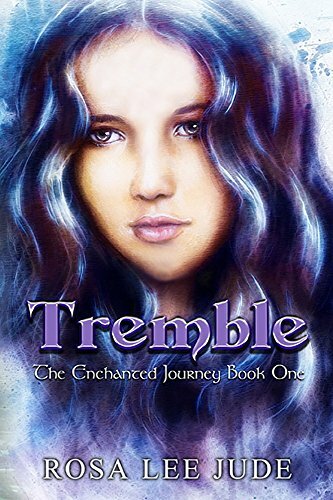 Tremble soon learns that her magical heritage is shrouded in danger and mystery with a variety of interesting, and sometimes sinister, characters making up her family tree. In the Kingdom of Neverwrong, there is a fine line between good and evil. It soon becomes clear that Tremble’s true strength will be the independent spirit that has been instilled by her mortal parents. To her amazement, ancestors from the birth of Neverwrong prove to be her most important allies as she delves deeper into the prophecy of her kingdom’s future. Join Tremble as she faces the final chapter of her journey and learns how she will fulfill the complicated prophecy that has shadowed her entire life. Rosa Lee Jude is a multi-genre indie author. Rosa Lee Jude began creating her own imaginary worlds at an early age. While her career path has included stints in journalism, marketing, tourism and local government, she is most at home at a keyboard spinning yarns of fiction and creative non-fiction. She lives in the beautiful mountains of Southwest Virginia with her patient husband and very spoiled rescue dog.